The demise of the newspaper has long been predicted. Yet newspapers continue to survive globally despite competition from radio, television, and now the Internet, because they serve core social functions in successful cultures. Initial chapters of this book provide an overview of the development of modern newspapers. 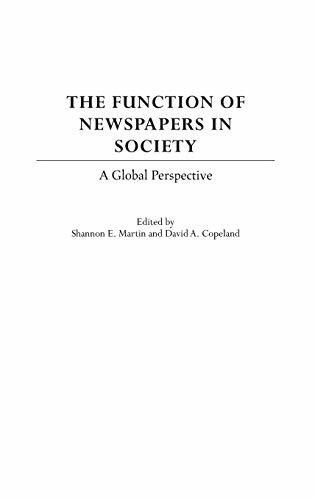 Subsequent chapters examine particular societies and geographic regions to see what common traits exist among the uses and forms of newspapers and those artifacts that carry the name newspaper but do not meet the commonly accepted definition. The conclusion suggests that newspapers are of such core value to a successful society that a timely and easily accessible news product will succeed despite, or perhaps because of, changes in reading habits and technology.